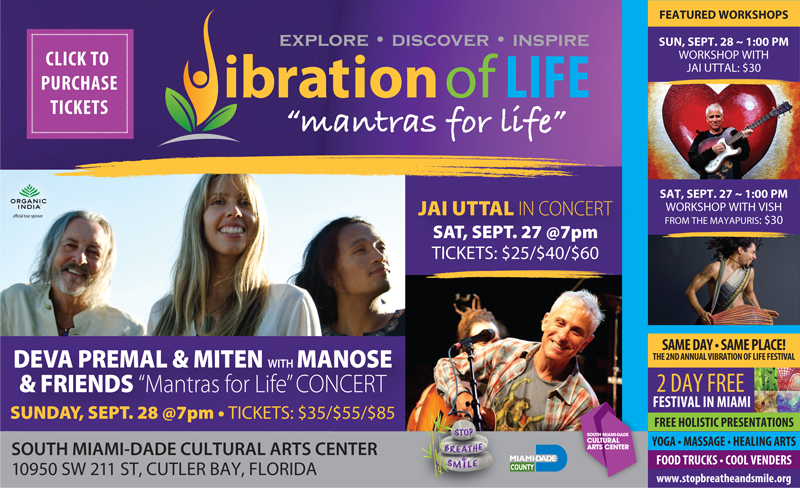 Visvambhar 'Vish' Sheth is the lead singer of the internationally acclaimed group 'The Mayapuris', a headlining Kirtan group that has rocked stages from India to Florida, Australia to South Africa. Starting at the age of 5, Vish has spent his life leading Kirtans in the ISKCON (Vaisnava) tradition. He is a multi-instrumentalist, and a master of the Mridanga drum and performs in traditional as well as fusion styles. Vish started performing in the modern yoga studio culture 2009, and since then he has performed at countless studio gatherings and well known spiritual venues like BhaktiFest and Omega Institute's Ecstatic Chant Weekend. In addition to being a master percussionist, Vish also sings, and plays harmonium and bansuri flute. Vish has not only mastered his art but has a rare capacity to invoke the 'rasa' of the essence to the transcendental energies that define the Kirtan path. Devotional artists in ancient times considered music and dance to be divinely intertwined, offered with love in the sanctified space of the temple. In this performance and workshop we'll learn about this relationship and how to create this sacred space with our own bodies and voices. Learn about the elements of kirtan: raaga (melody), taala (rhythm) and body movement (dance). Together we'll stamp, stretch, chant, sing, twist, call out, hit, pluck and spin in our journey towards accessing the sacred Shakti within! In this way we will give expression to our heart through our voices, bodies, and instruments. The workshop features traditional drumming, kirtan, storytelling, and beautiful Indian temple dance.